An SUV struck a home in Elmhurst just before 12 p.m. on Friday, December 4, 2015. 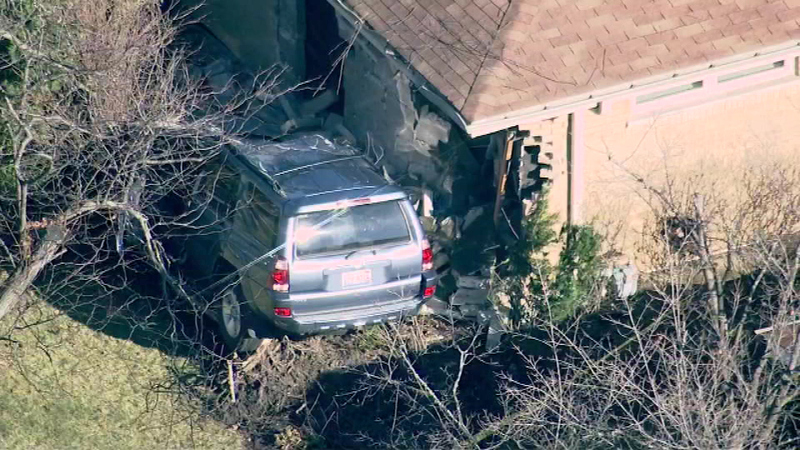 ELMHURST, Ill. -- An SUV struck a home in Elmhurst just before 12 p.m. Friday. The impact knocked off part of the front of the home. No one inside was hurt. It's unclear what caused the driver to go off the road.